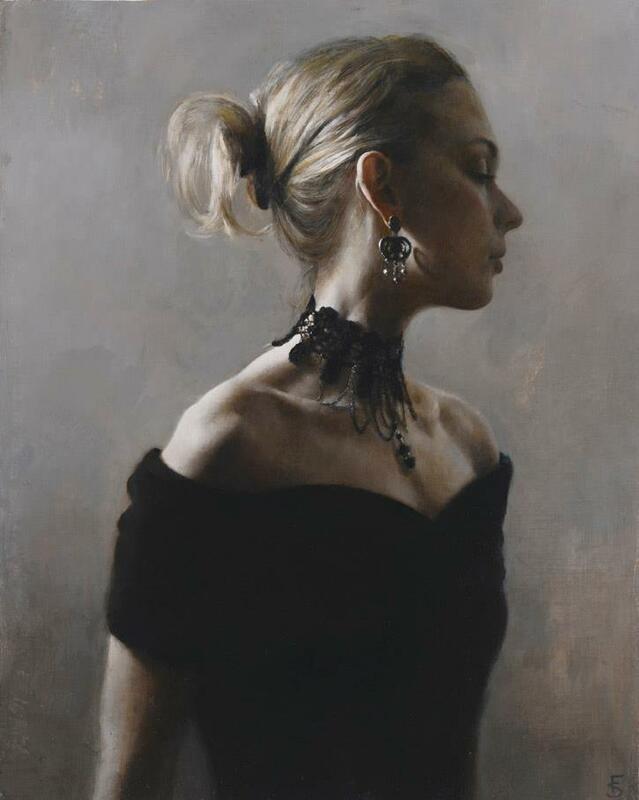 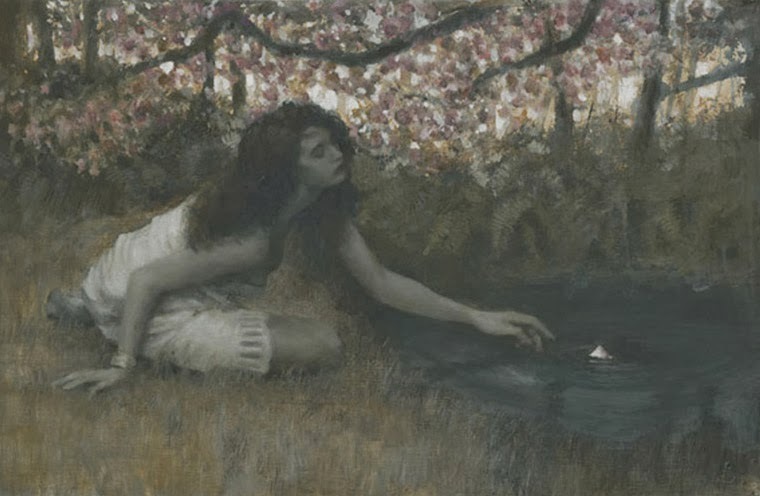 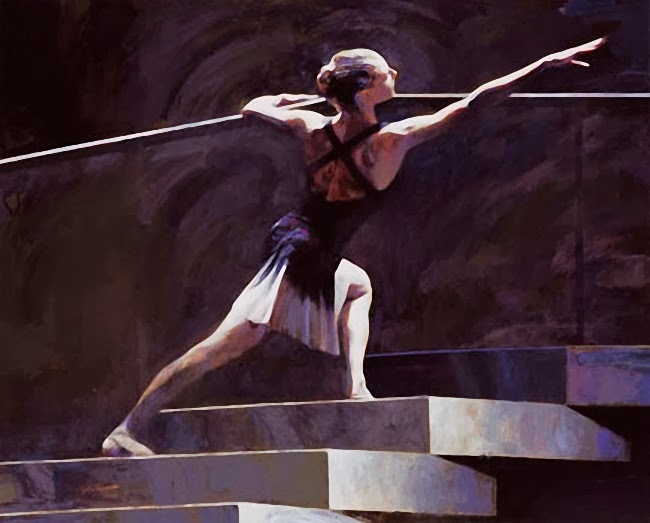 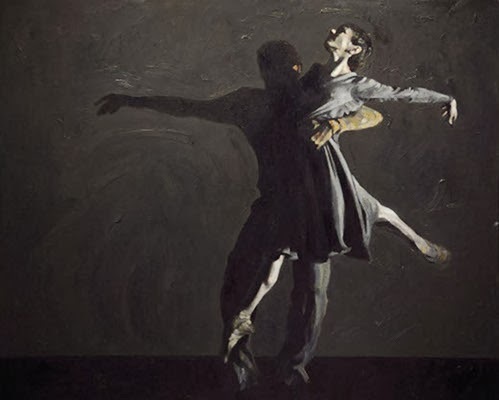 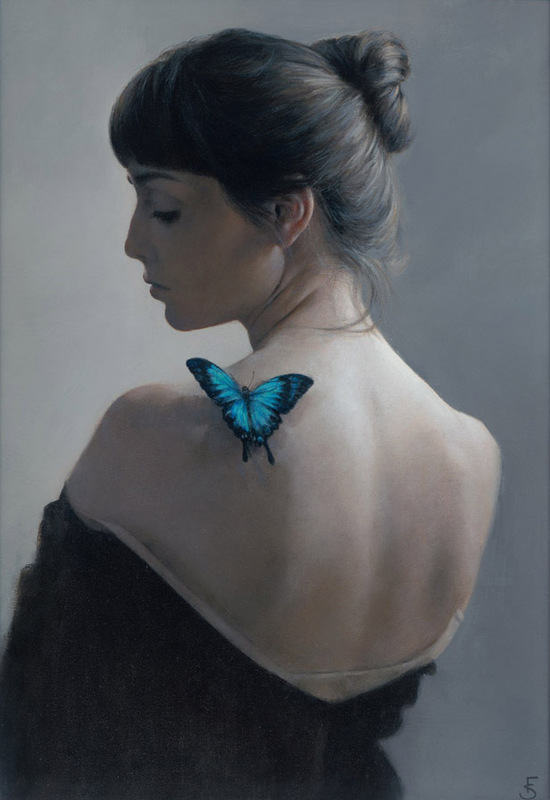 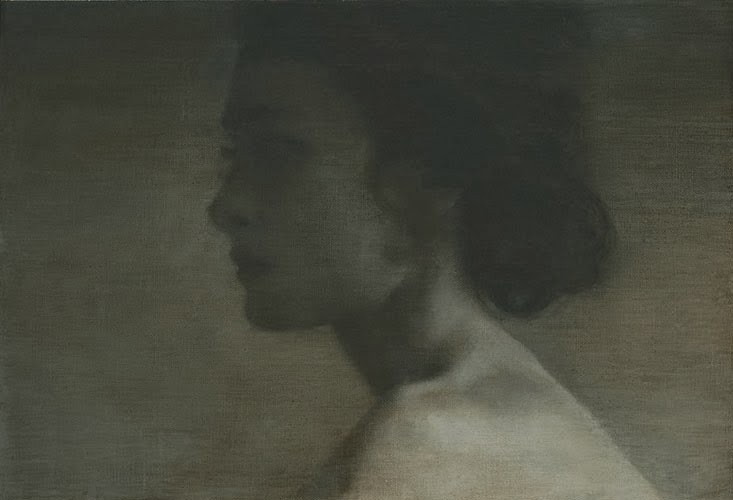 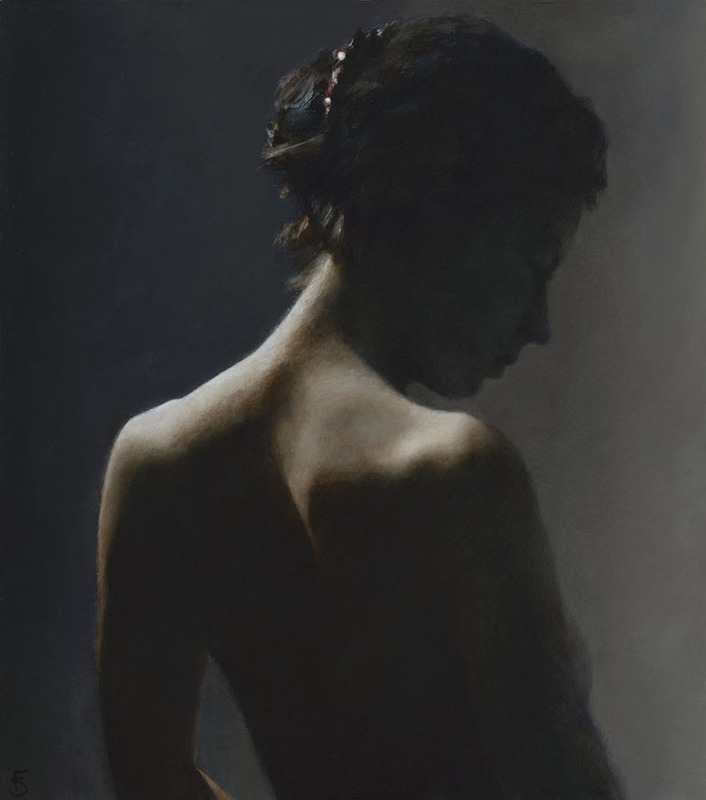 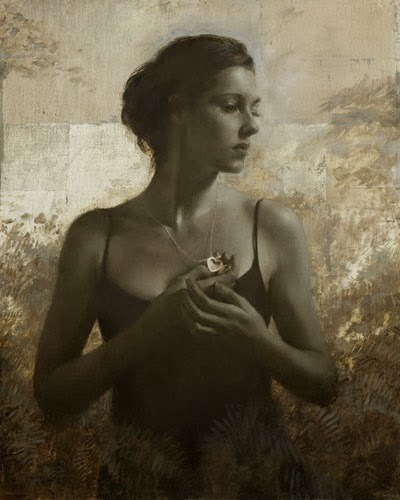 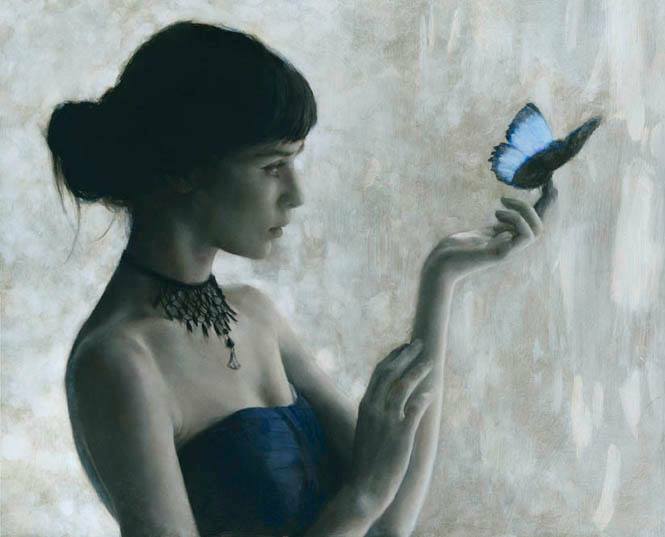 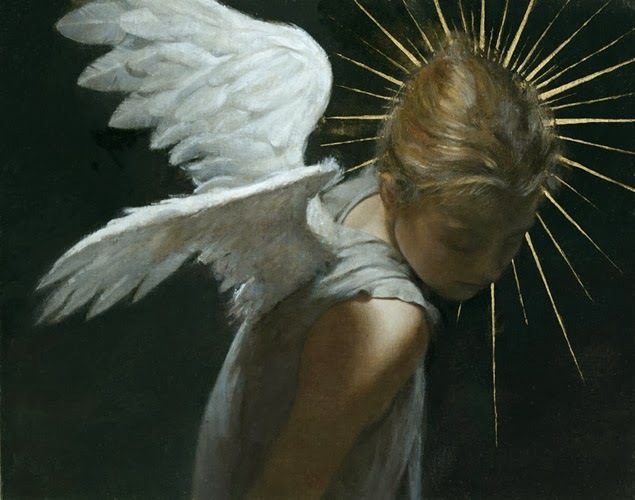 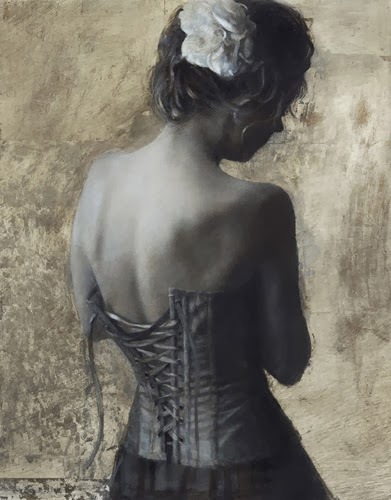 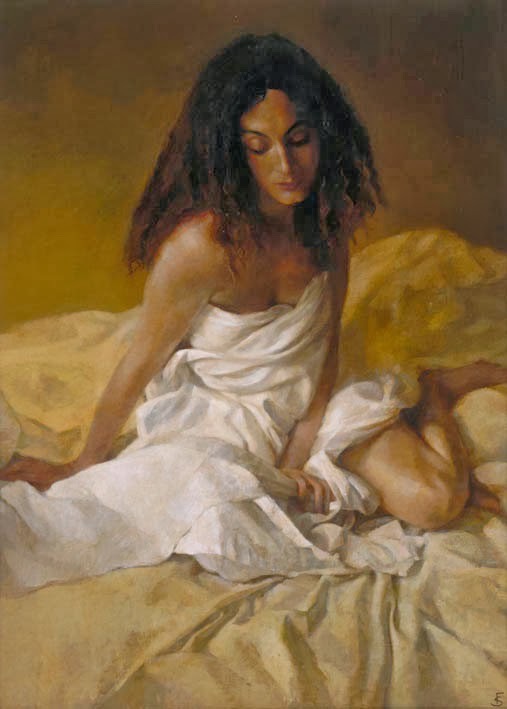 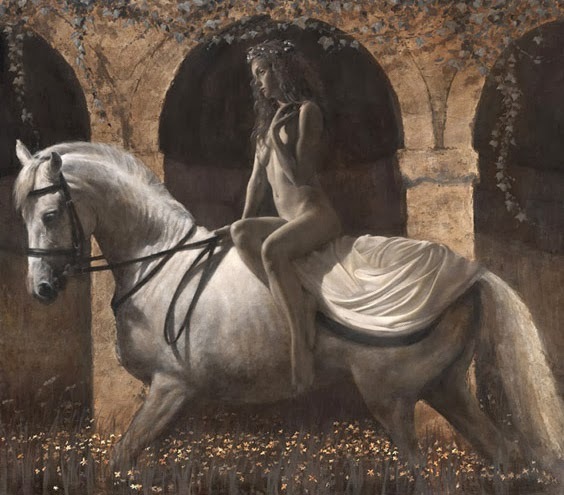 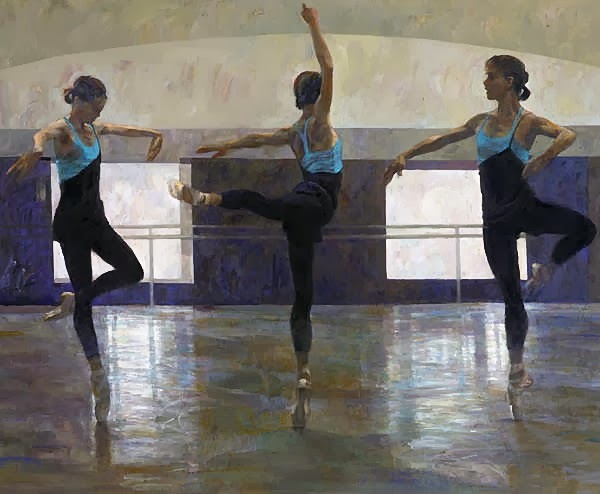 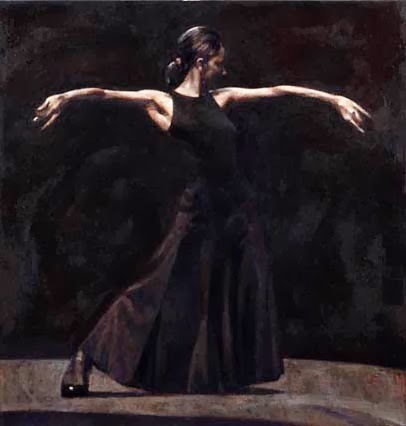 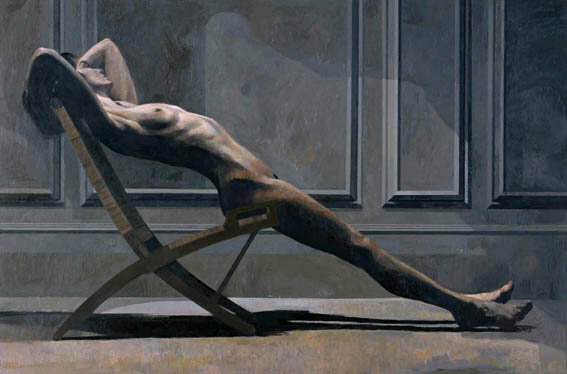 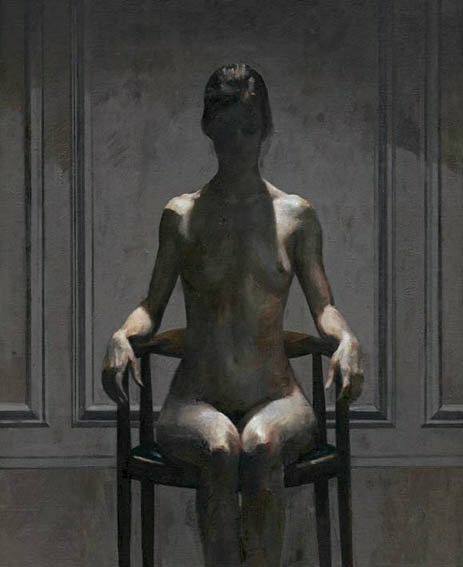 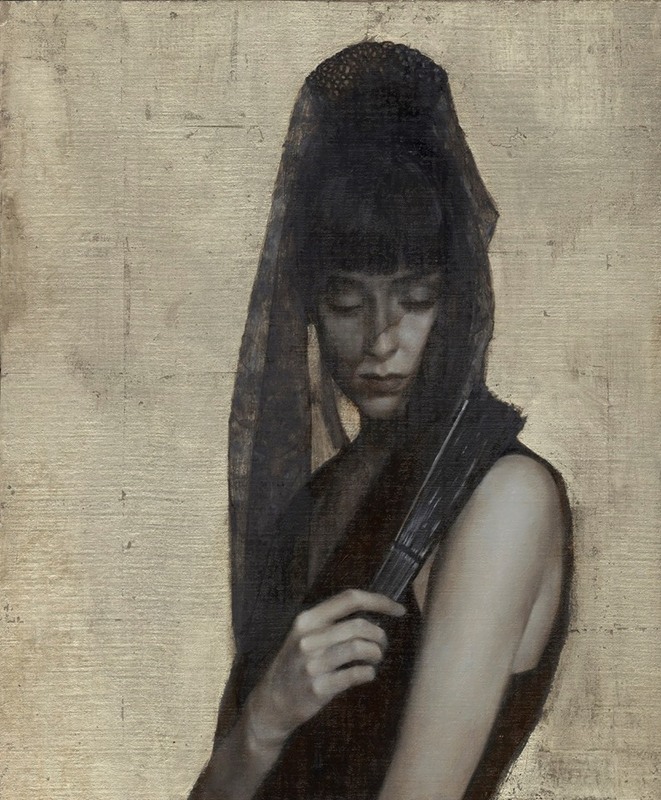 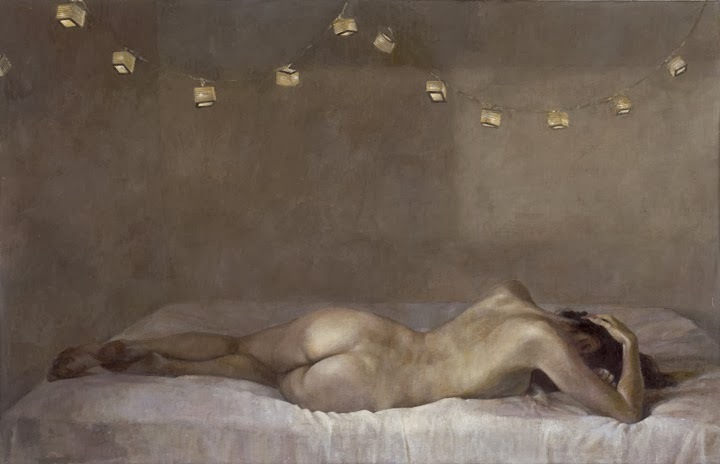 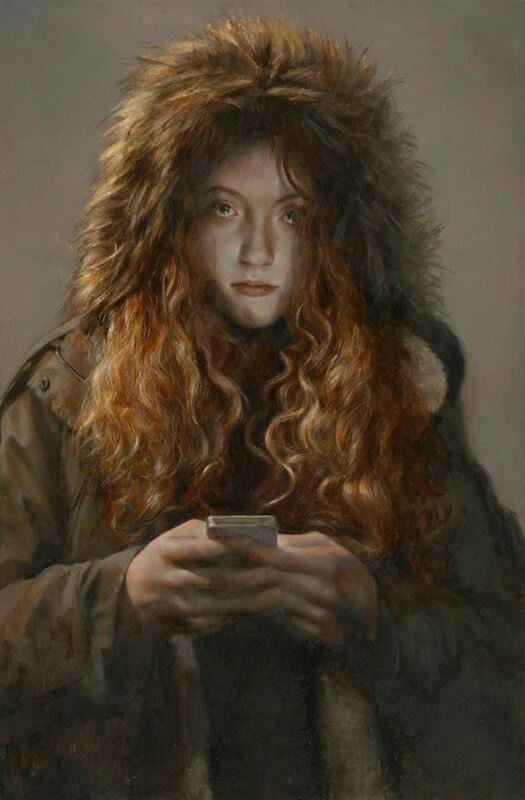 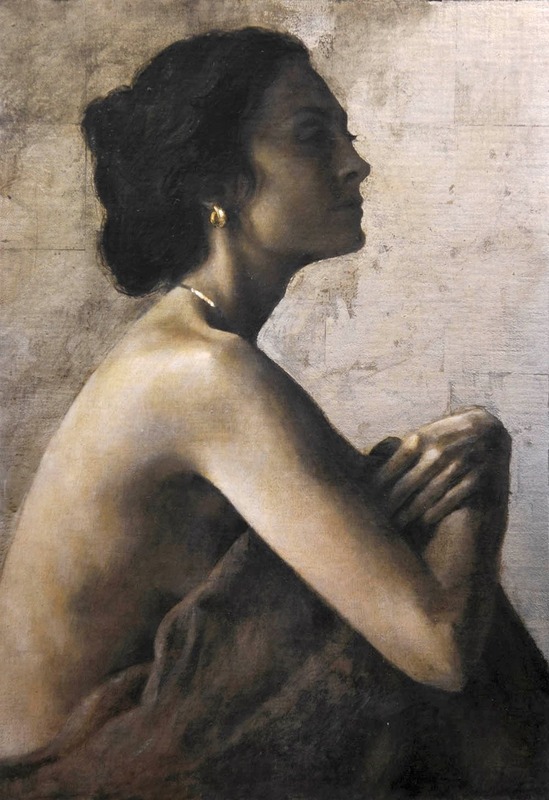 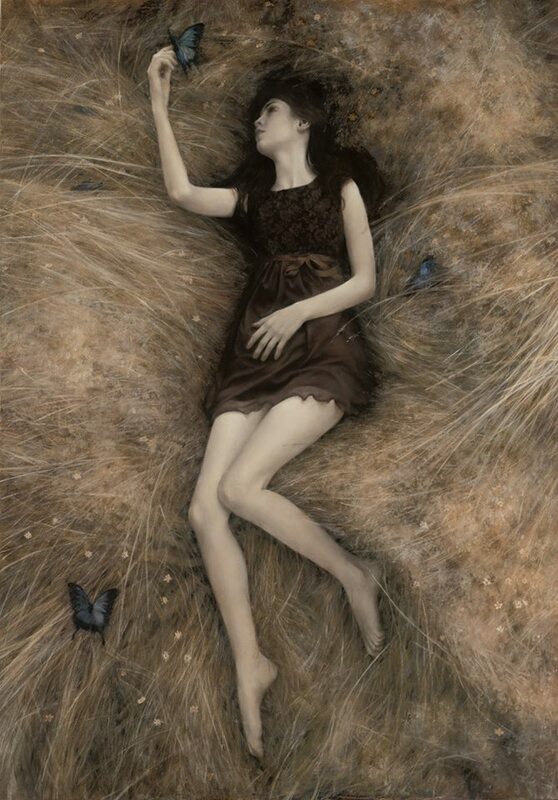 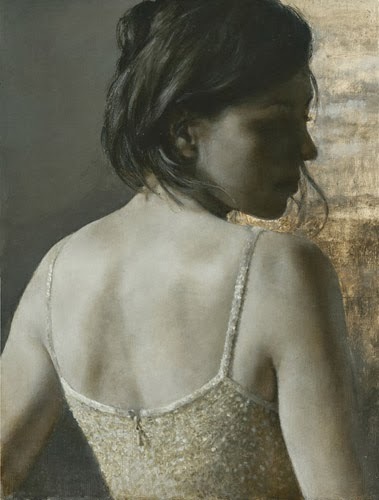 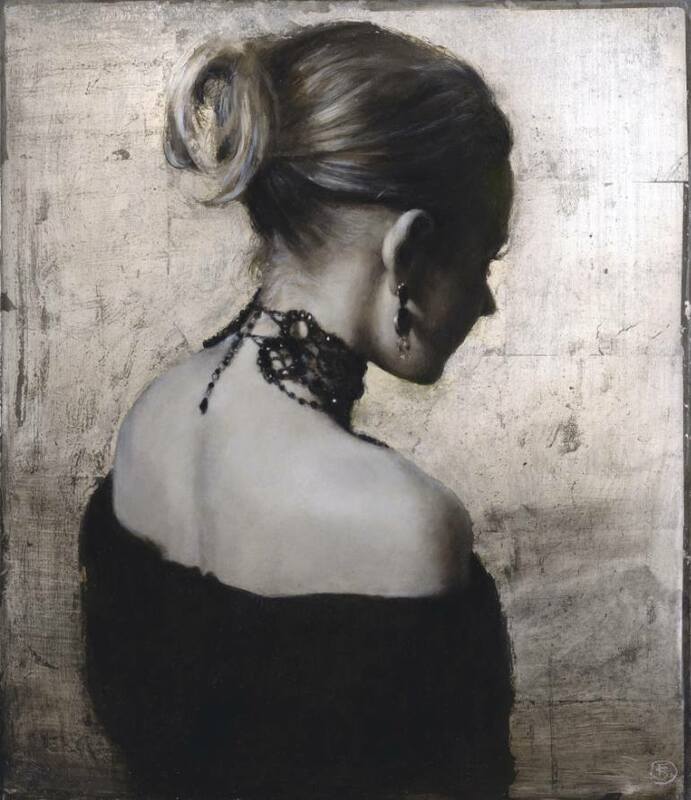 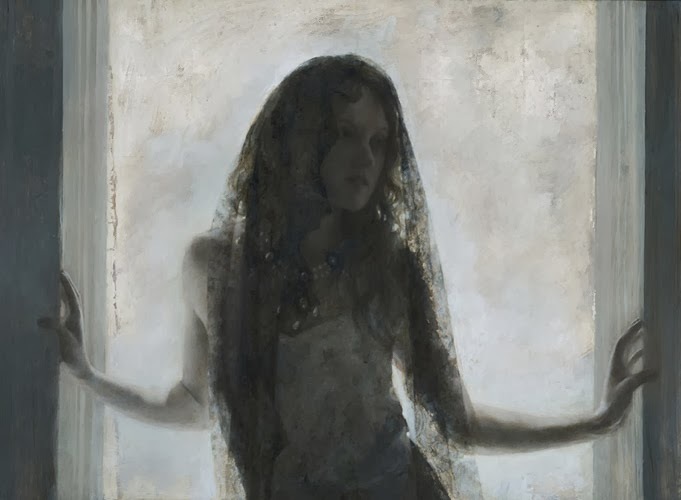 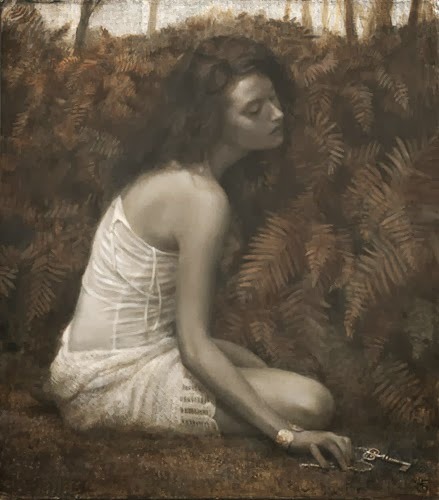 British painter Fletcher Sibthorp has worked as a full-time artist for the past twenty years, producing work in the commercial market, as well as selling paintings to private and corporate collectors. Rank Xerox, British Telecom, Chase Manhatten Bank, Railtrack and Kirin Brewery are just a few of the companies that own his paintings as part of their collections. 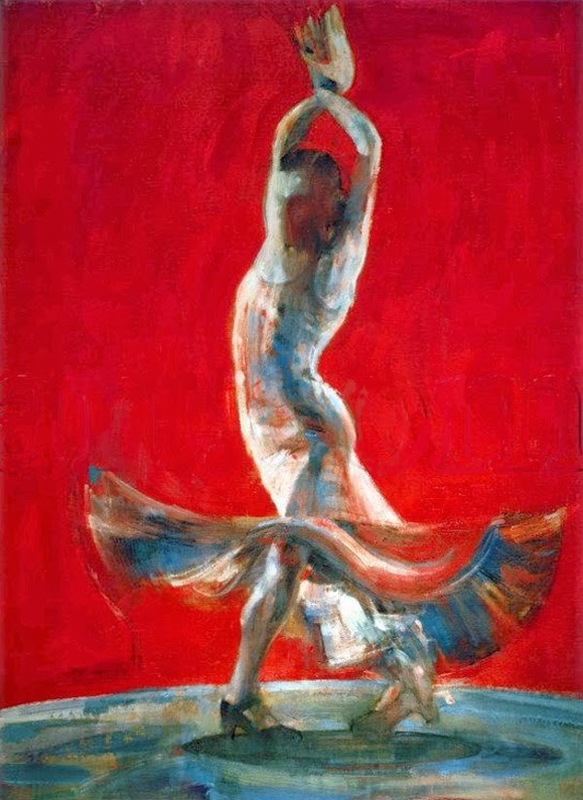 Initially, Fletcher was attracted by the concept of movement and its effect on the human form. 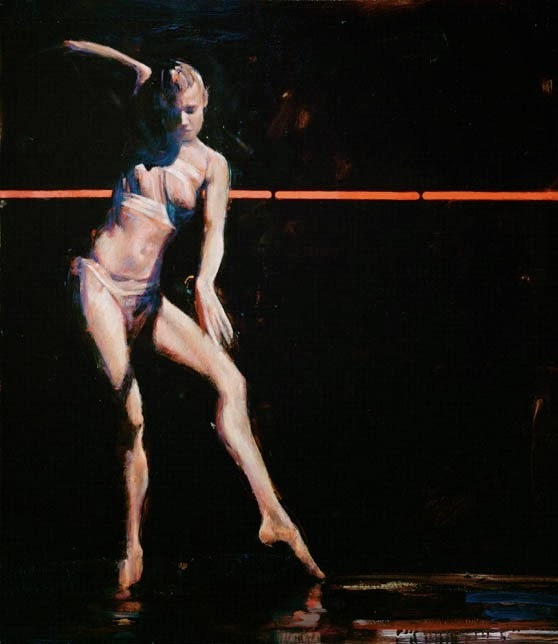 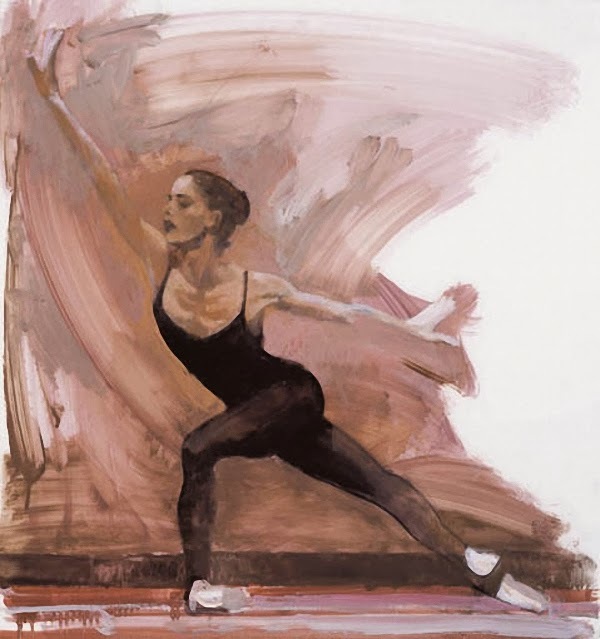 This naturally lead to his interest in sport and abstract portrayals of gymnasts and athletes, culminating in an exhibition 'In Motion' in London in 1992. 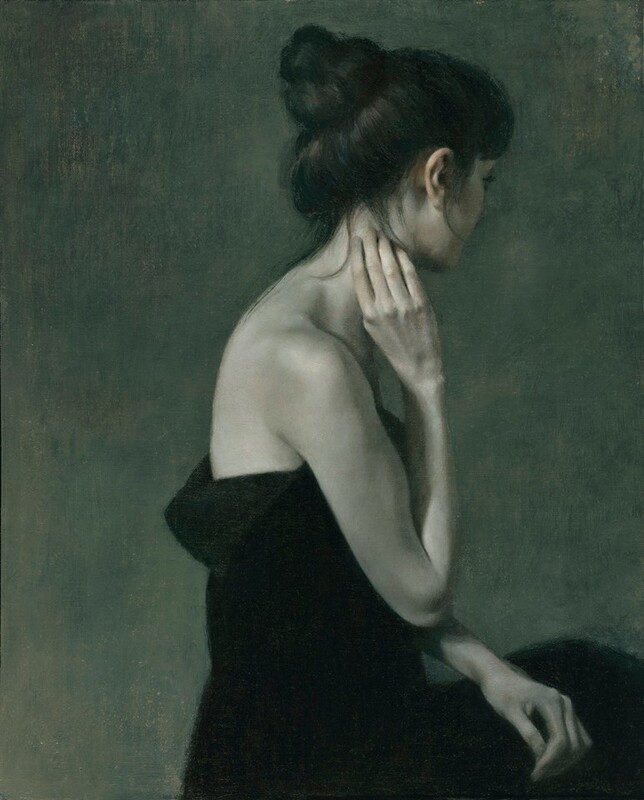 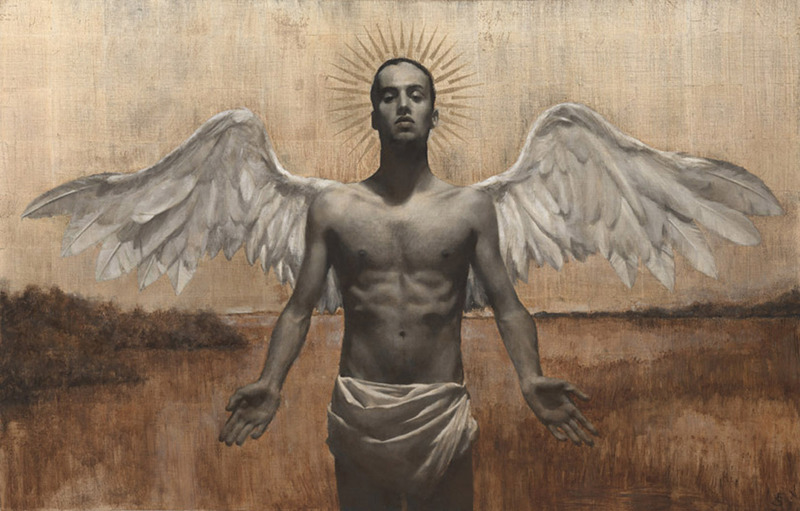 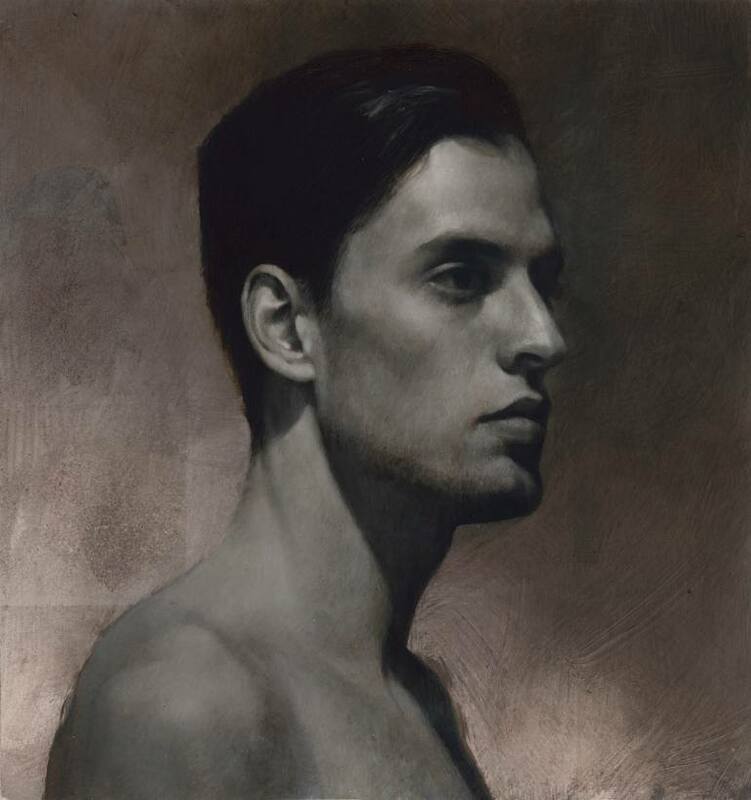 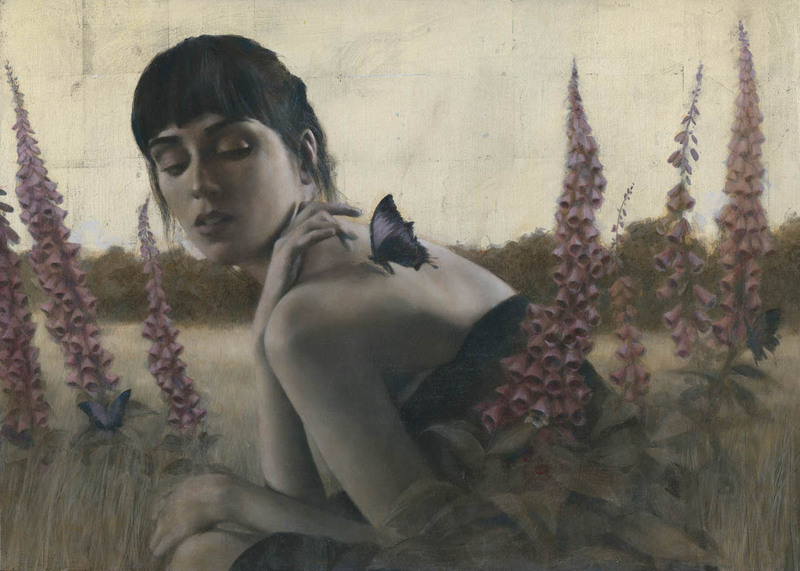 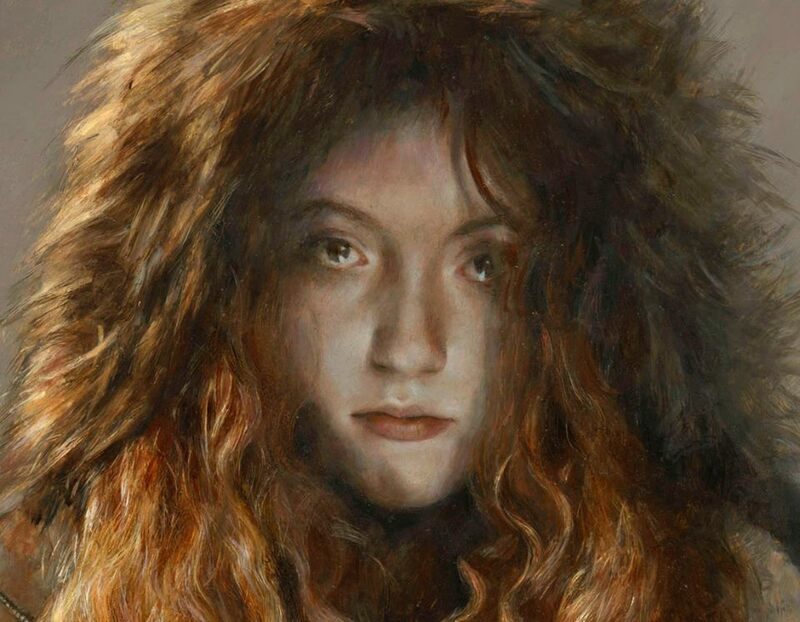 Born in Hertfordshire, England, Fletcher Sibthorp has had a successful career as a painter since graduating with Honours from Kingston University in 1989. 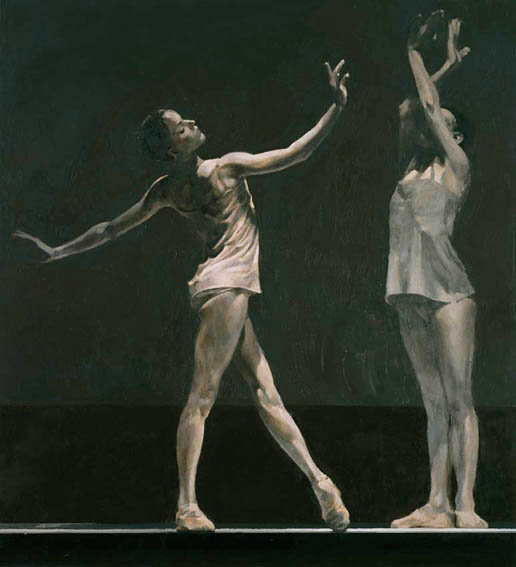 Although predominantly known for his dance paintings, Fletcher has produced a number of artworks as part of an ongoing series called Quiet Space, the newest examples of which are in this book. 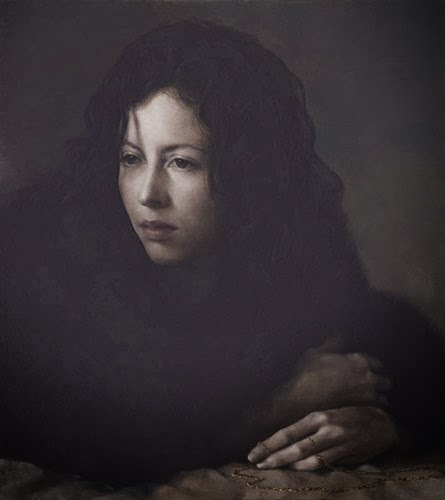 “The Quiet Space series is for me my most personal work. 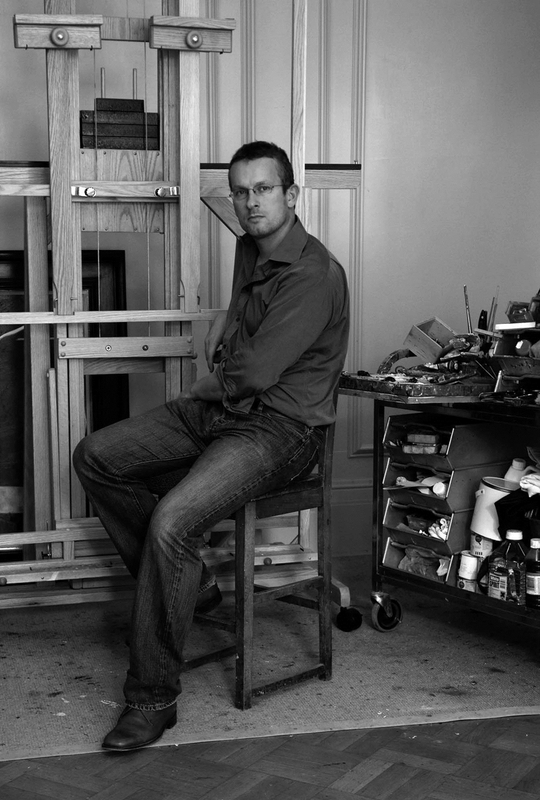 I have found reward over the years in producing artworks that just ‘are’. 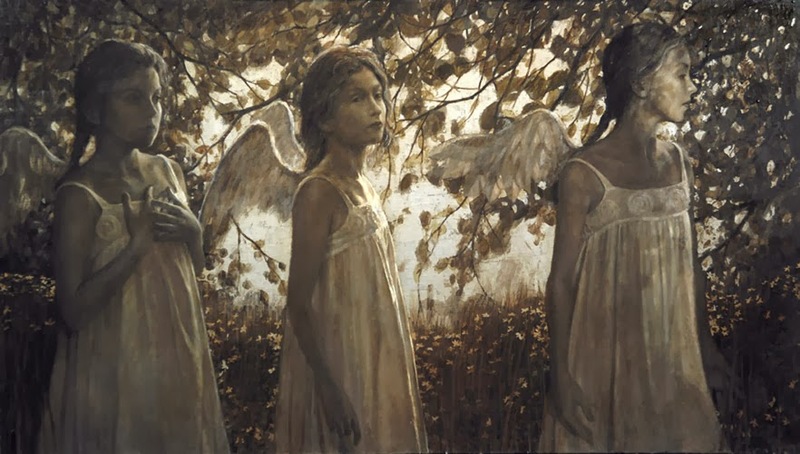 I attach no great meaning to them and I shy away from explaining them in any way. 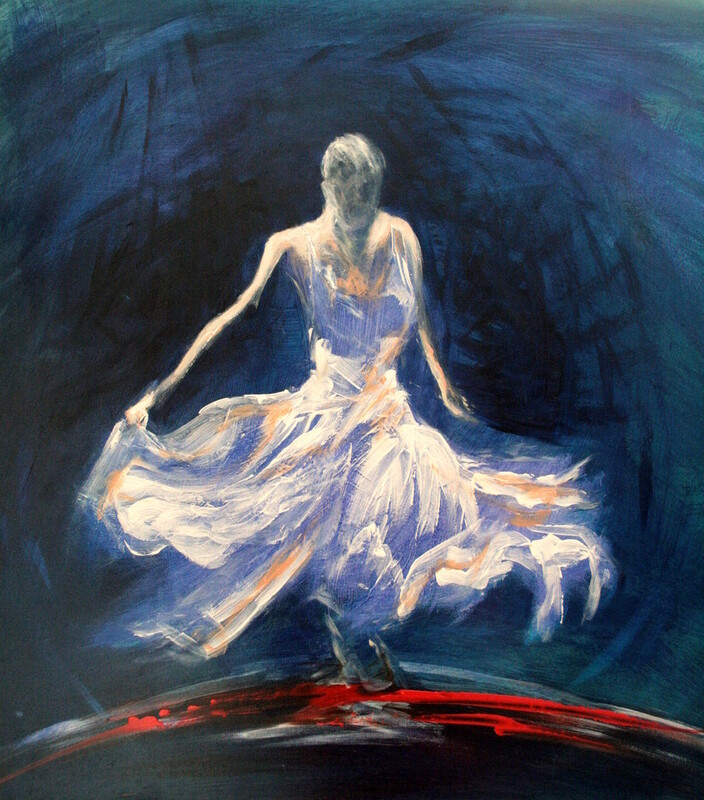 For me painting is a visual language so should not require rationalisation. 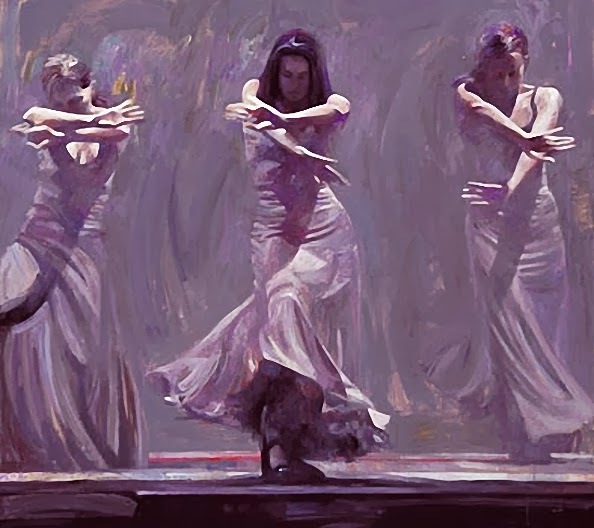 I believe that artwork, especially my kind of work, should be self-explanatory as it is a visual language. 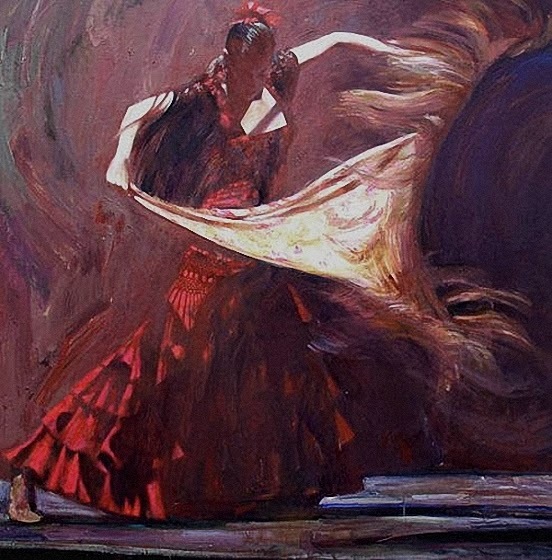 If you have to explain it, you are failing to a certain extent. 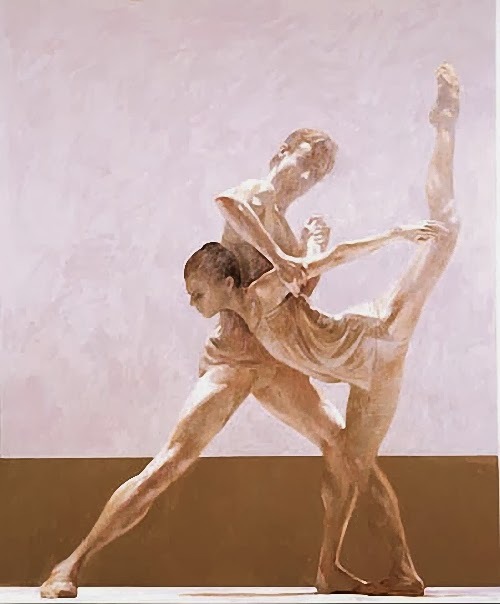 Everything should be conveyed in the painting. 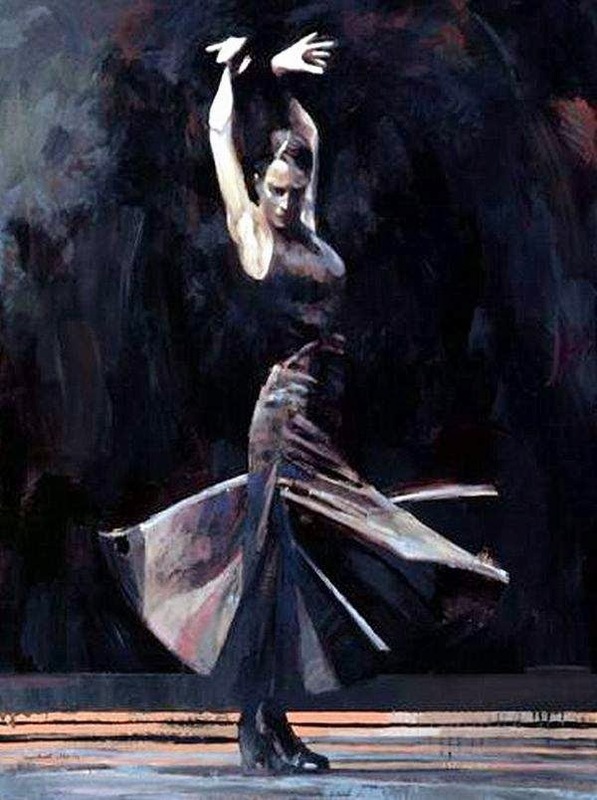 I would go along with Oscar Wilde, who once said, “A picture has no meaning but its beauty, no message but its joy”. 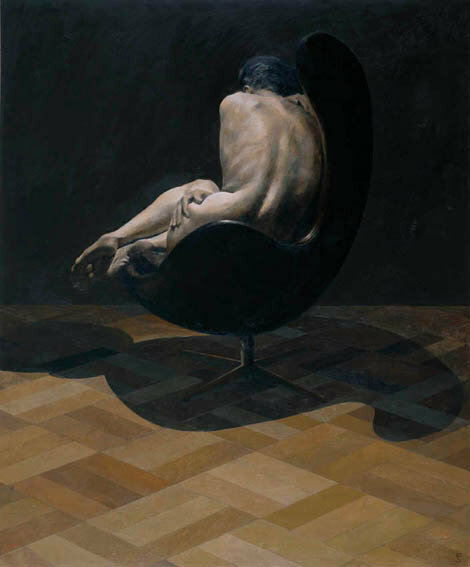 After embarking on this series back in 1999, I felt that I hadn’t fully explored the theme and found myself drawn to it time and again. 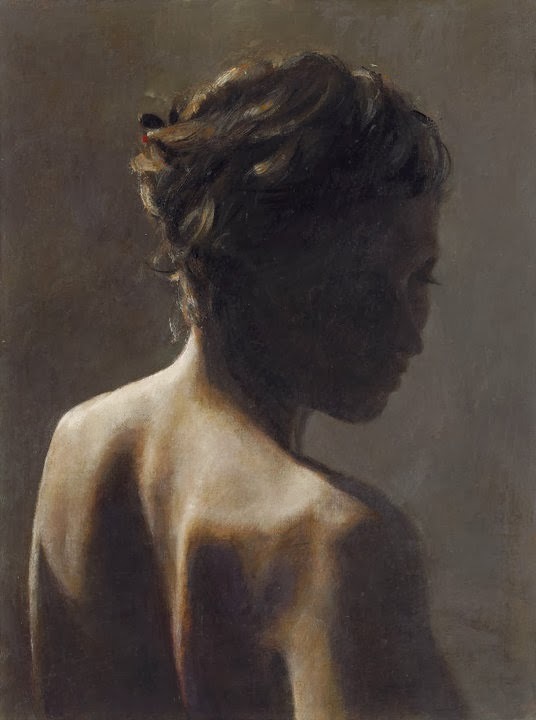 Quiet Space represents for me, captured moments of human introspection and frailty, instants which exist and then are gone, whether an expression, the way light falls and catches the face, or a simple portrait. 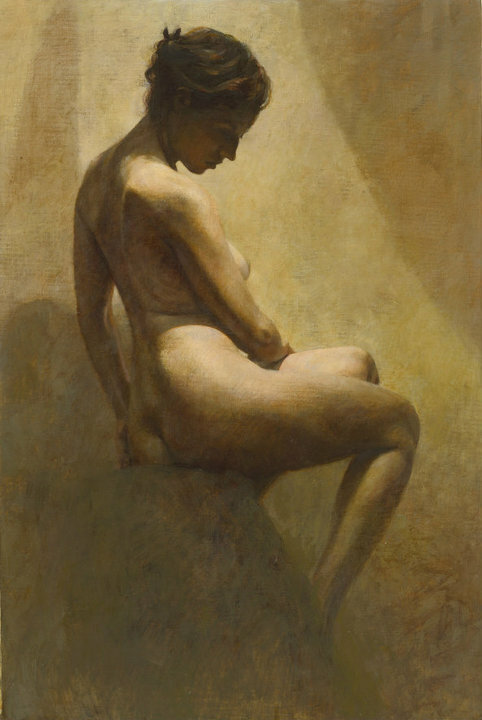 The simplicity of the paintings allows the viewer to naturally attach their own experiences and thoughts to the work. 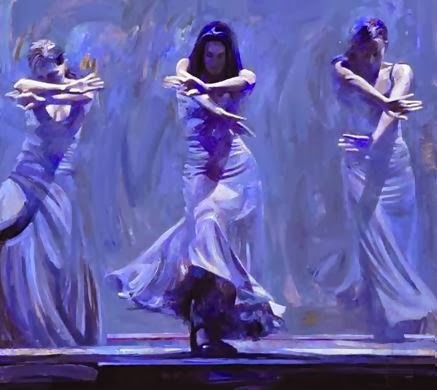 There is an underlying narrative in most of the pieces, but this is subtle - the contemporary paring-down juxtaposing the classical references and themes. 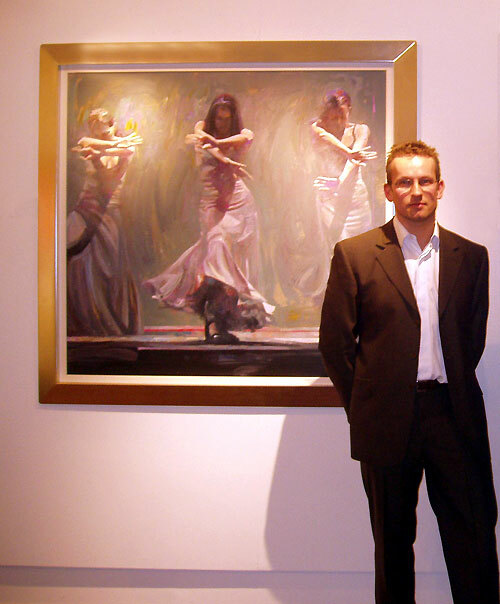 Technically I’ve found that over the years my work has become more considered – following classical practices and ideals. 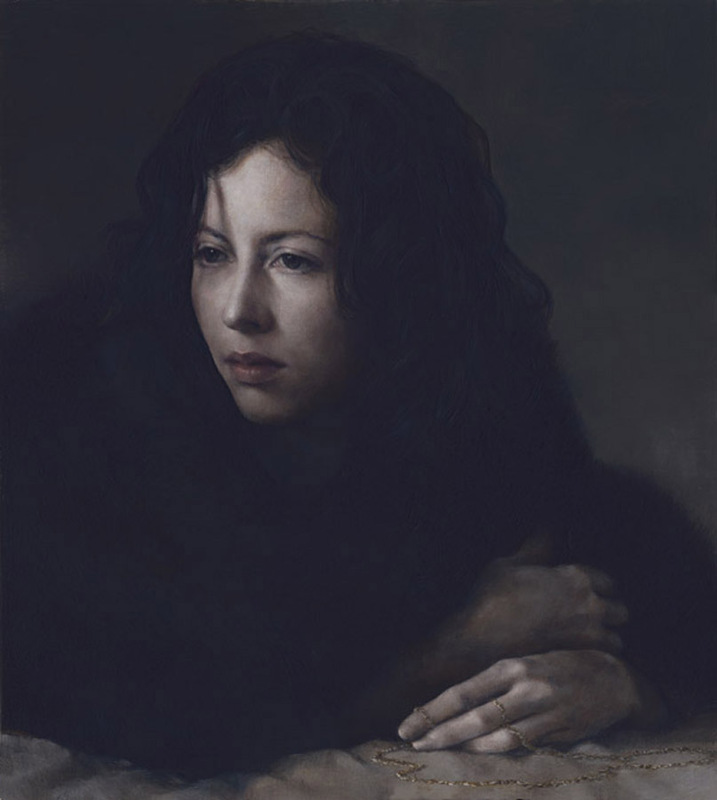 Inspired by the work I admire at The National Gallery and Tate Britain and the recent American resurgence in representational art, I embarked on the journey of honing my skills to create the work I wanted to create and to find my individual voice. 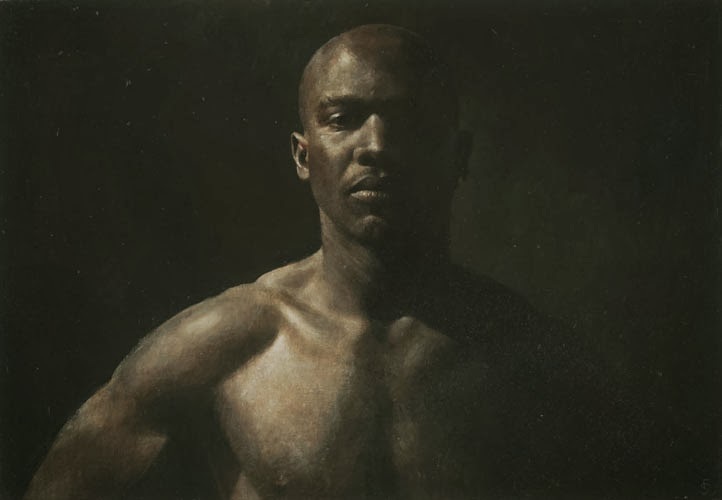 This type of approach flies in the face of contemporary practice, even within the realms of contemporary representational art, which puts great emphasis on the expressive application of paint with little thought to the quality of the paint handling. 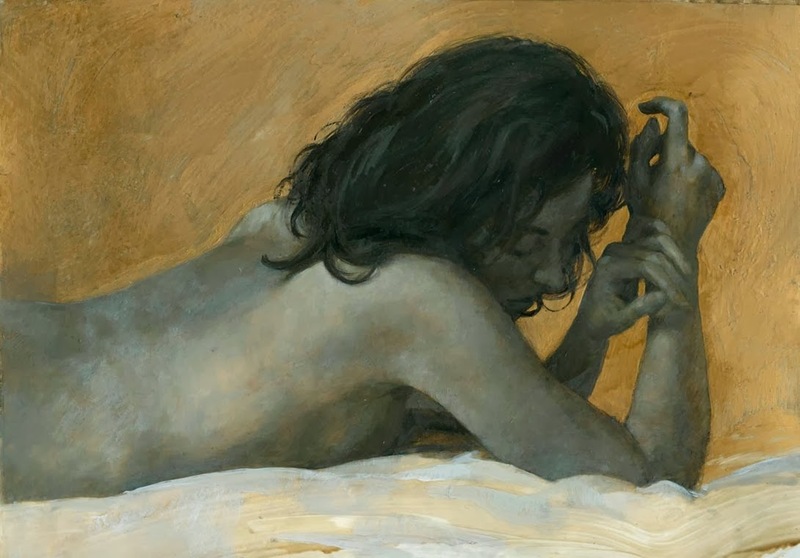 This way of working is fine for some artists, but for me to have less than total control, means I limit myself to what I can achieve, emotionally and technically. 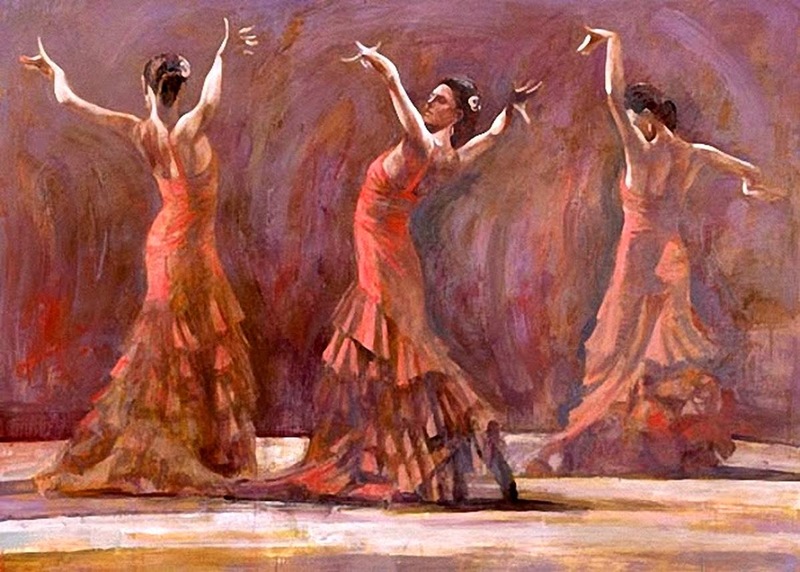 What I try to interpret is based on sound technical values. Embarking on what for me is a renewed journey, I began to consider the artworks I would be producing. 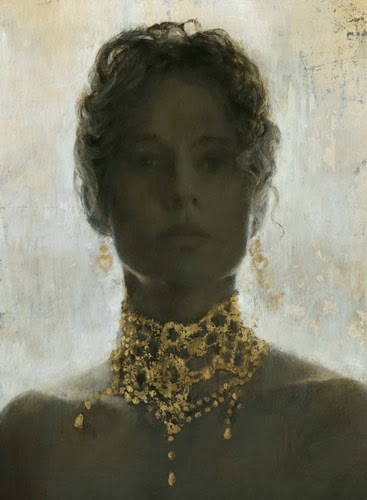 I came to the conclusion that each piece produced had to be gem-like, created with care and skill. I wanted people to appreciate the work for what it was and be able to recognise the effort involved in producing each individual artwork - my own personal creation, painted solely by me and not one of many on a production line, painted by artist-assistants. I had to be completely satisfied it was the best that I could do and anything less rejected. 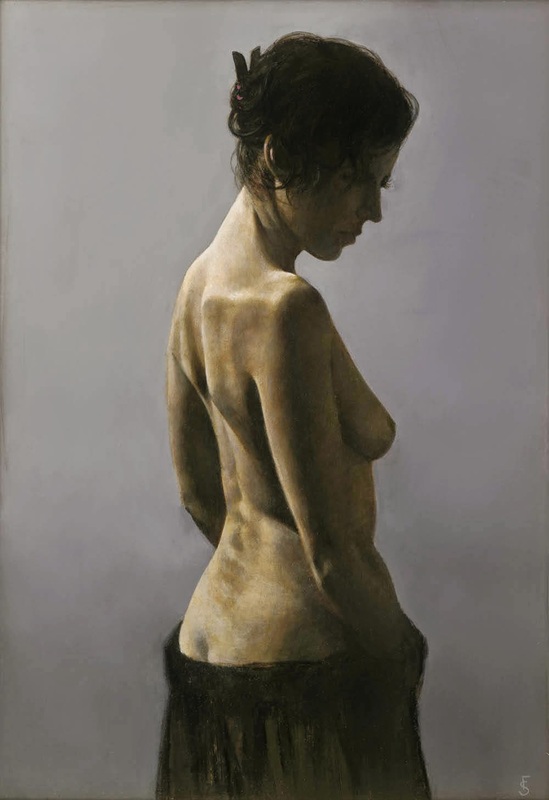 Following the success of his 2005 show, he was approached by the respected Medici Gallery, also an established Cork Street gallery. Sibthorp held his first mixed show with them the following year and included some of his first Royal Ballet pieces. 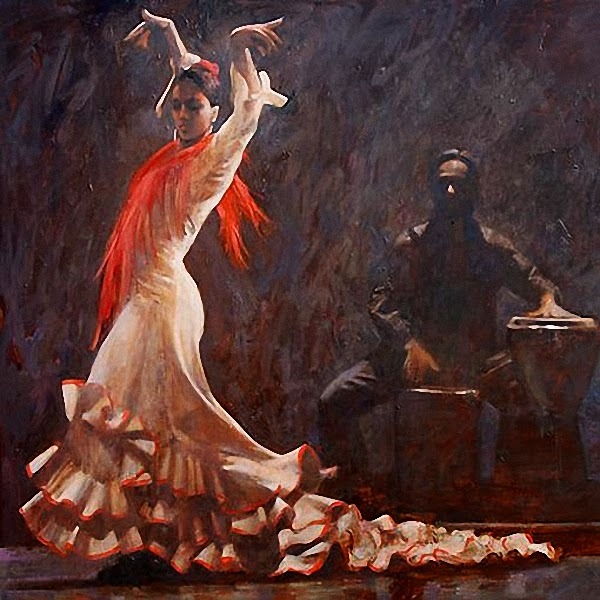 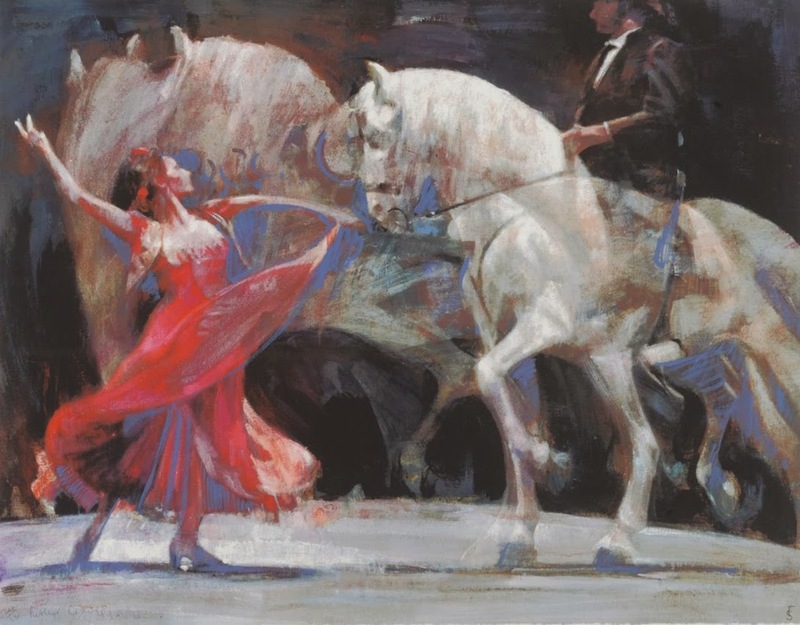 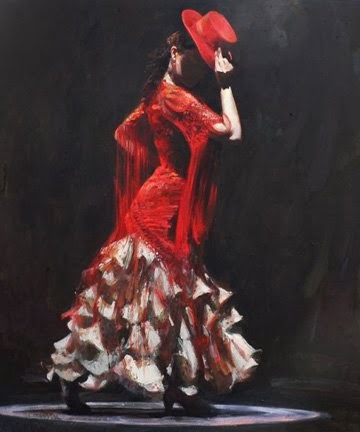 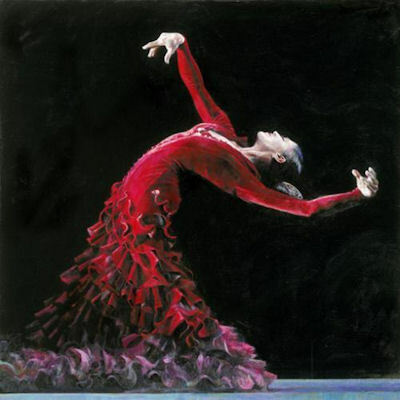 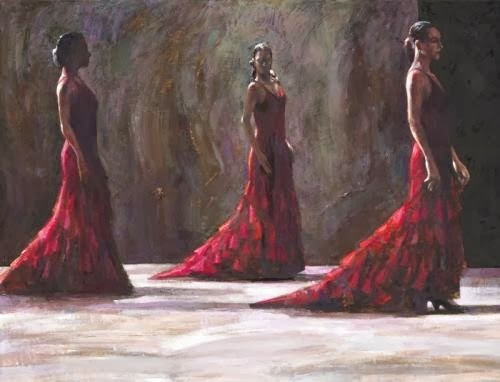 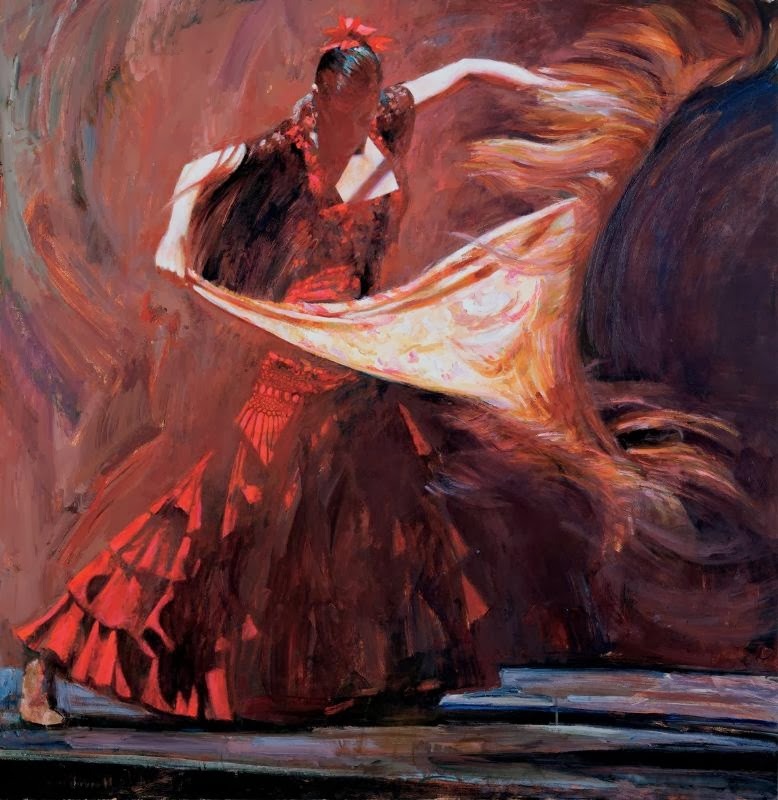 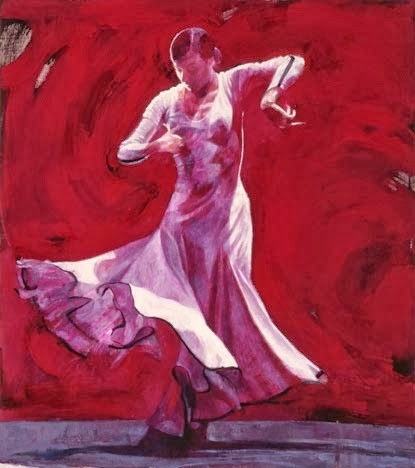 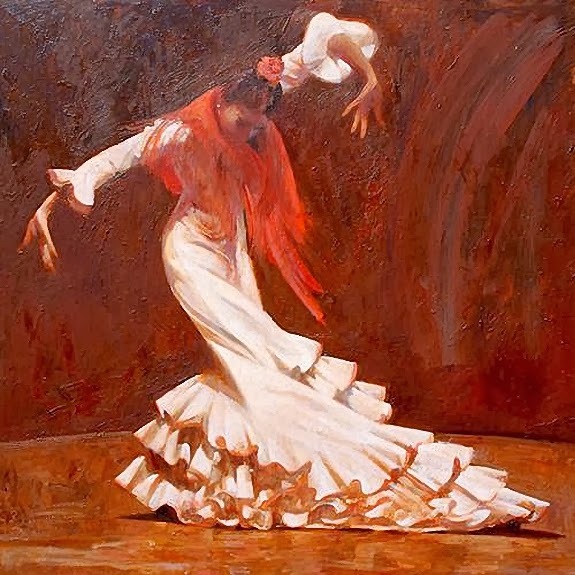 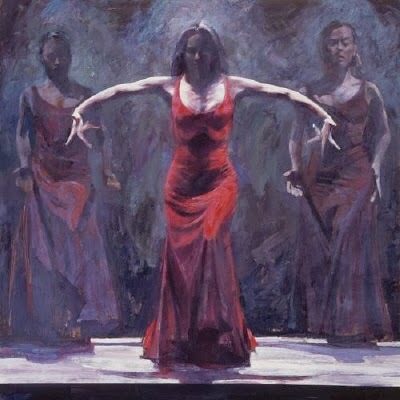 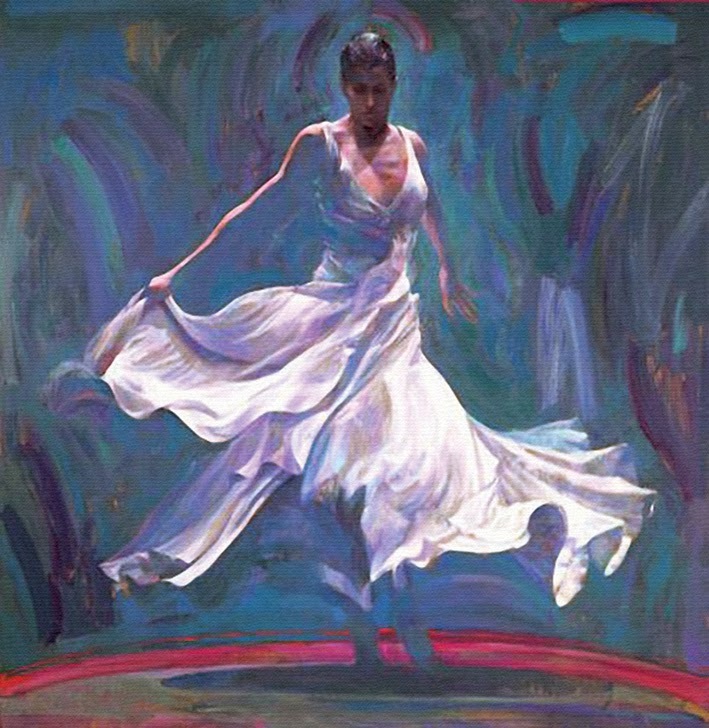 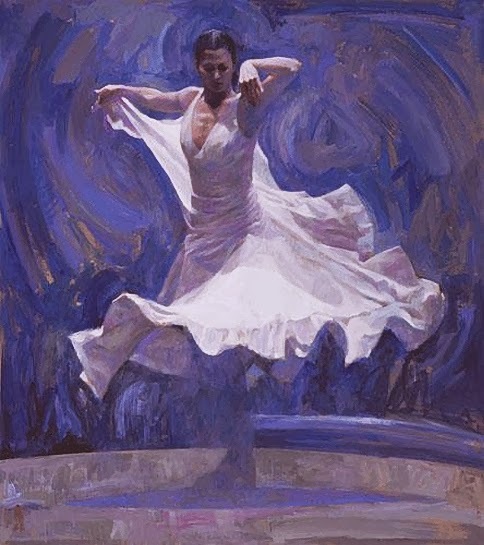 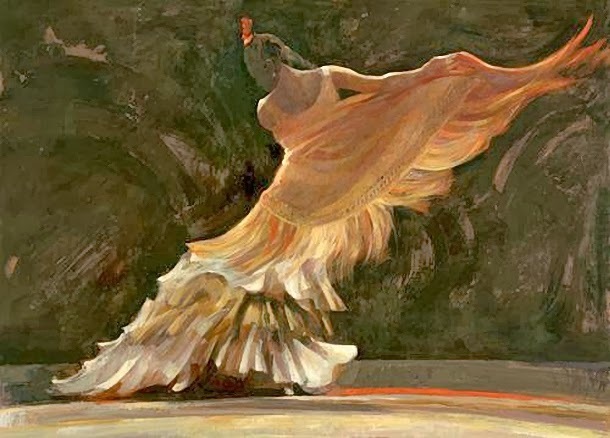 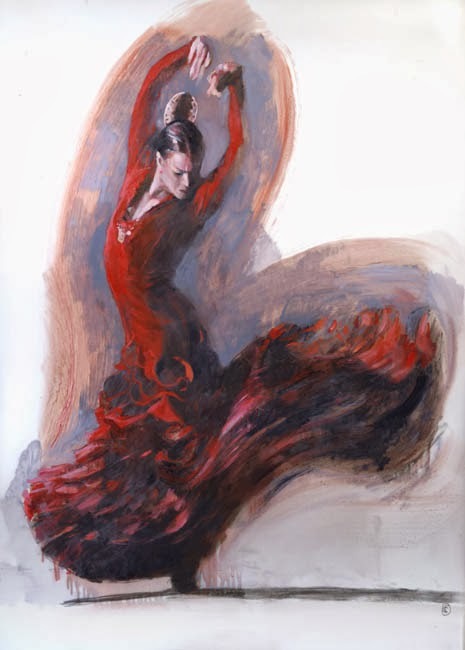 The subsequent 2007 Medici show saw a further shift in emphasis away from Flamenco with many more paintings and studies that were the result of his attending dress rehearsals and photocalls at the Royal Opera House. 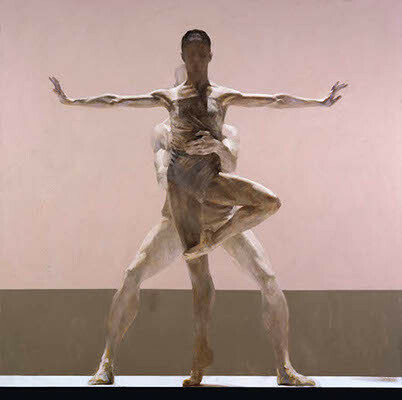 His most notable pieces were inspired by the modern ballet 'Chroma' by Royal Ballet 'Choreographer-In-Residence', Wayne McGregor and with sets by the British minimalist architect John Pawson, as well as the production of Danse à Grande Vitesse, by choreographer Christopher Wheeldon and featuring the principal dancer Darcey Bussell. 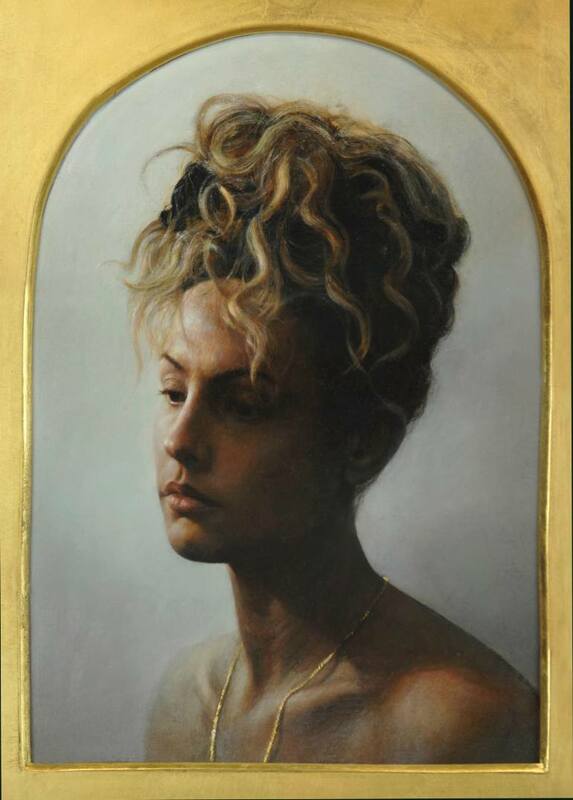 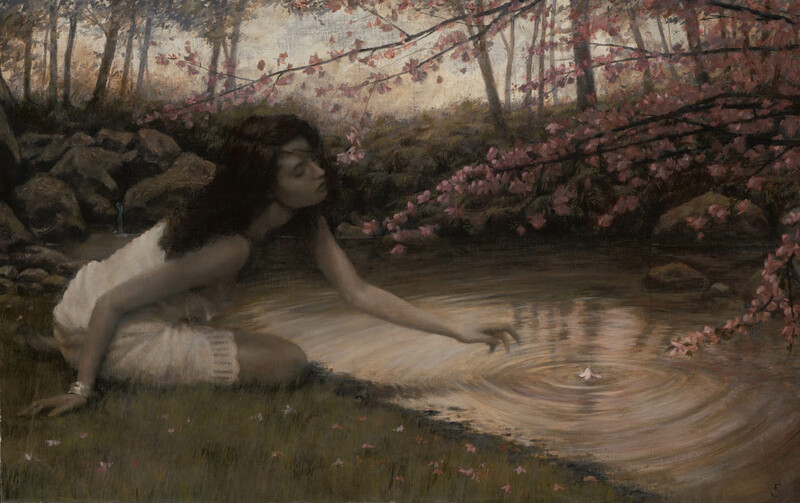 One of the paintings from this latter production sold for £25,000, elevating Sibthorp's work to the next 'status level' in contemporary British figurative art. 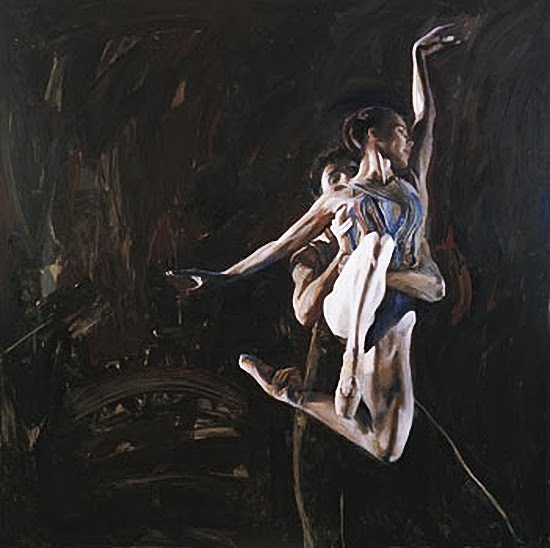 The response from this show was such that Sibthorp was invited to be sole observer of the last studio rehearsals of Darcey Bussell with her regular dance partners Gary Avis and Carlos Acosta, leading up to her final acclaimed retirement performance at The Royal Opera House. 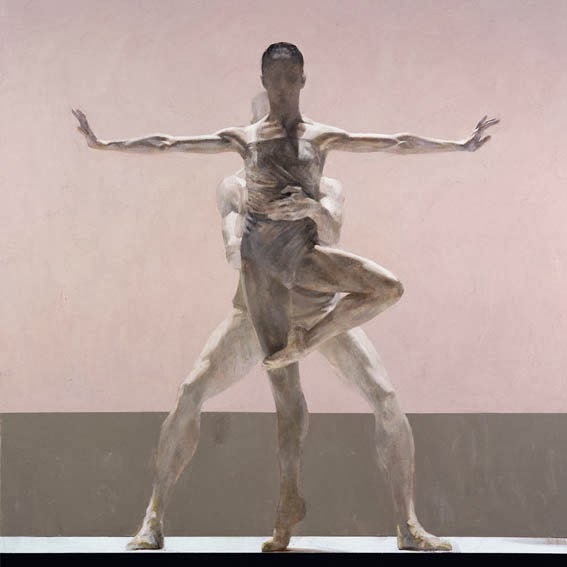 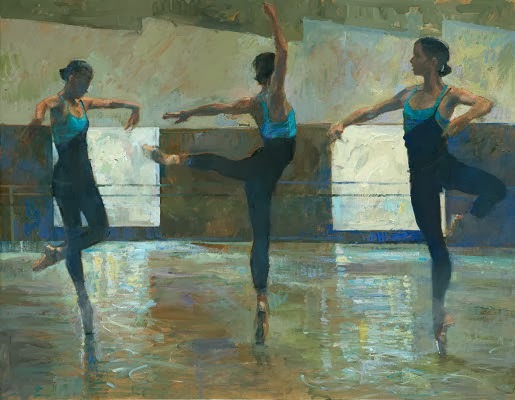 He plans to continue to study the human figure and dance in all its forms.